The net result was that sugar intake, which had averaged 12 pounds a year per person in 1828, was nearly ten times that in 1928. Remember, too, that if you don't take your sugar straight, you'll find it already sprinkled into a thousand different foods and beverages before they come to your table. There are marked similarities in the diet eaten in all the world's developed countries, so, for now, I'll just mention some statistics for the United States. Once you understand what healthy eating can be like, you'll find them as bizarre and shocking as I do. The latest Department of Agriculture statistics show that the average American consumed 124 pounds of caloric sweeteners (principally refined sugar and high fructose corn syrup) in 1975. By 1999 it had risen to 158 pounds. 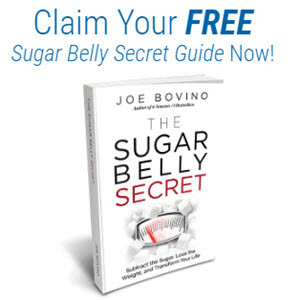 This translates into an average of nearly 750 calories from sugar a day, which means by conservative reckoning, over one-third of all the calories an adult puts into his or her body each day comes from nutritionally empty and metabolically harmful caloric sweeteners. Those figures represent 190 grams of sugar (and corn syrup) a day. Compare that with the 300 grams of carbohydrate the government expects us to consume each day, and we see that sugar now comprises over sixty percent of the carbohydrate total. Sugar has no nutritional value and is directly harmful to your health. 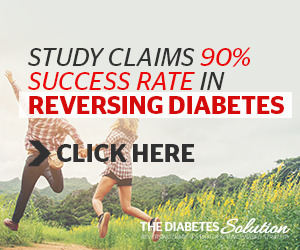 Despite vociferous attempts to defend it, there are studies that clearly show how harmful (and even deadly in the case of diabetics) its effects can be. I won't go into hyperinsulinism now; it will be covered fully in Chapter 5. For now, simply remember this: Diets high in sugar and other refined carbohydrates radically increase the body's production of insulin, and insulin is the best single index of adiposity. That final word is medical jargon for fat. Sugar, you see, activates certain metabolic processes that are both harmful to your health and folly for your waistline. Sugar is a metabolic poison. You could, of course, ignore this fact and attempt to control your weight by calorie counting and deprivation. 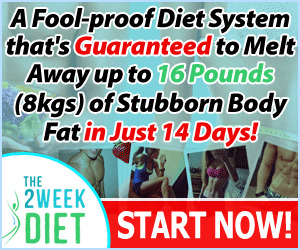 That is, you could direct yourself to the quantity instead of the quality of your diet. That's pretty much what conventional diets advise. 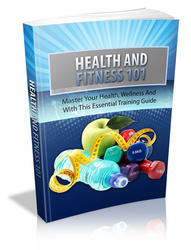 However, the likelihood that you'll permanently lose weight by controlling your caloric intake is almost nil. The whole problem of sugar was compounded by the low fat messages we were wrongly bombarded with during the 1980s and 1990s. To make a low-fat product taste good, manufacturers add lots of sugar. Now, in the United States, the aisles in the supermarket are crammed with low-fat or diet cookies and crackers, ice cream, frozen cakes and pies, soft drinks and white bread filled with sugar. The United States has "low-fatted" and "dieted" itself to a raging epidemic of obesity and diabetes. This is not real food; it's invented, fake food. It's filled with sugar and highly refined carbohydrates and with chemically altered trans fats (they are listed as hydrogenated or partially hydrogenated oil on food labels), not to mention plenty of other chemical additives. For thousands of years, human beings were in luck-none of this food existed. Now we're stuck with it. Because it's incredibly profitable, it's also widely distributed. But there isn't a person on this planet who should be eating it.